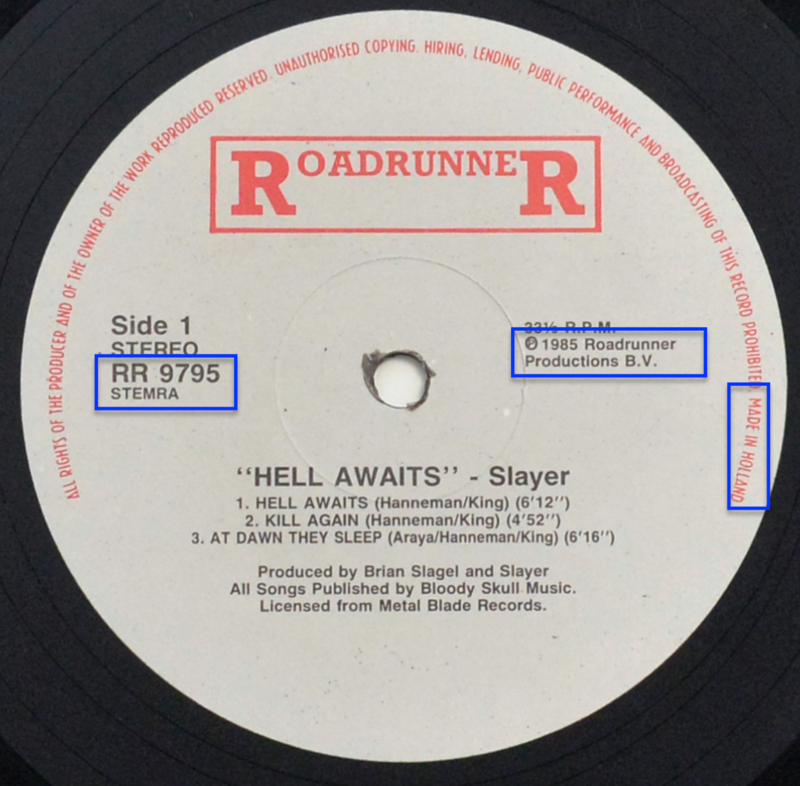 "Hell Awaits" is the second studio album by the American thrash metal band Slayer, released through Metal Blade Records in 1985. 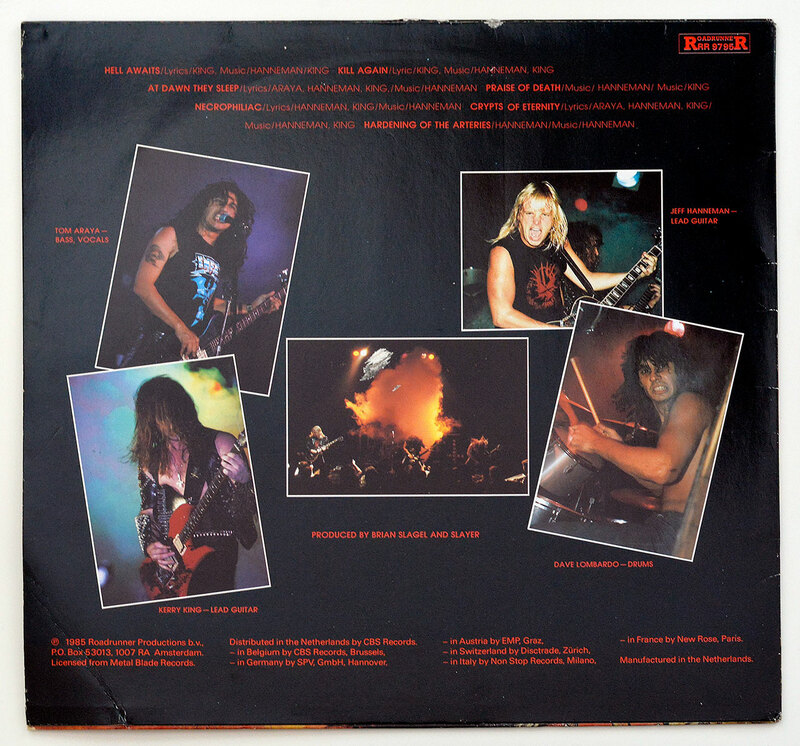 The band's previous release, "Show No Mercy", became Metal Blade Records' highest selling release; as a result, producer Brian Slagel desired to release a second Slayer album. 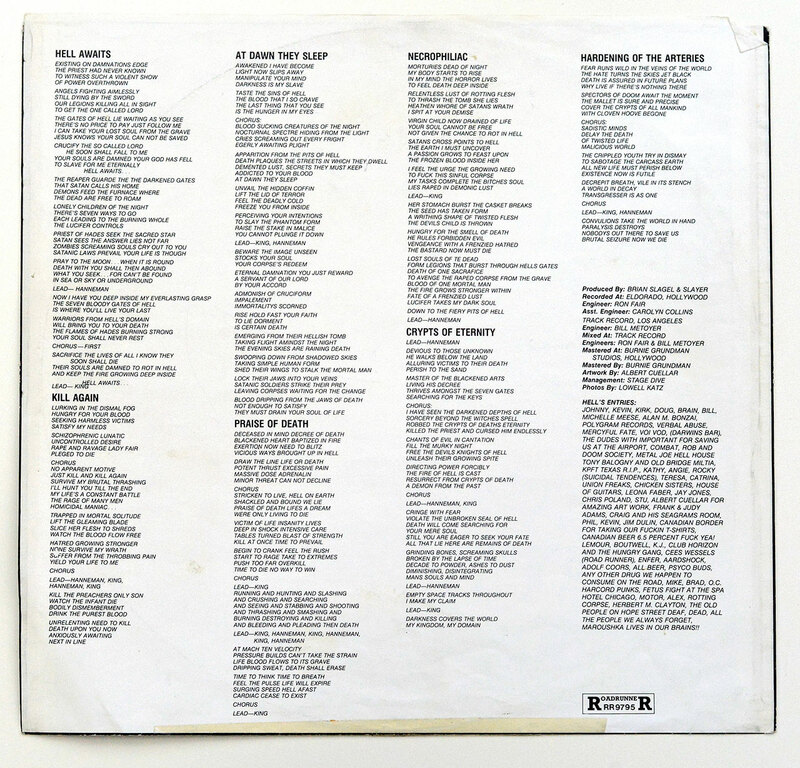 To that end, Slagel financed a recording budget (Show No Mercy was paid for by band members) and recruited several experienced producers to help in the studio. 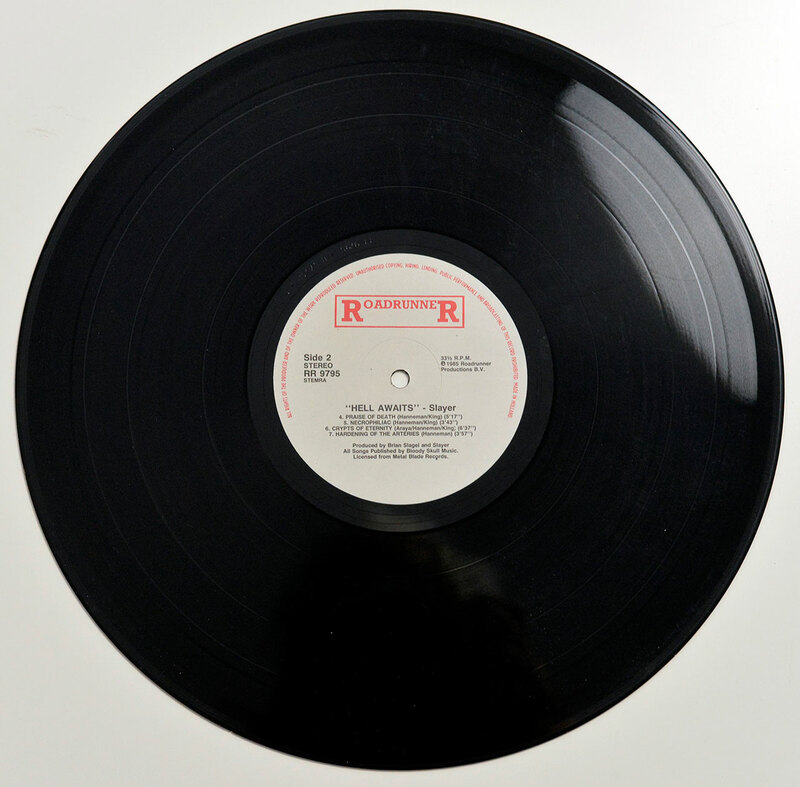 VERY GOOD PLUS or VG+: A virtually clean cover, with light signs of storage and no ring-wear, seam-splits or stickers. 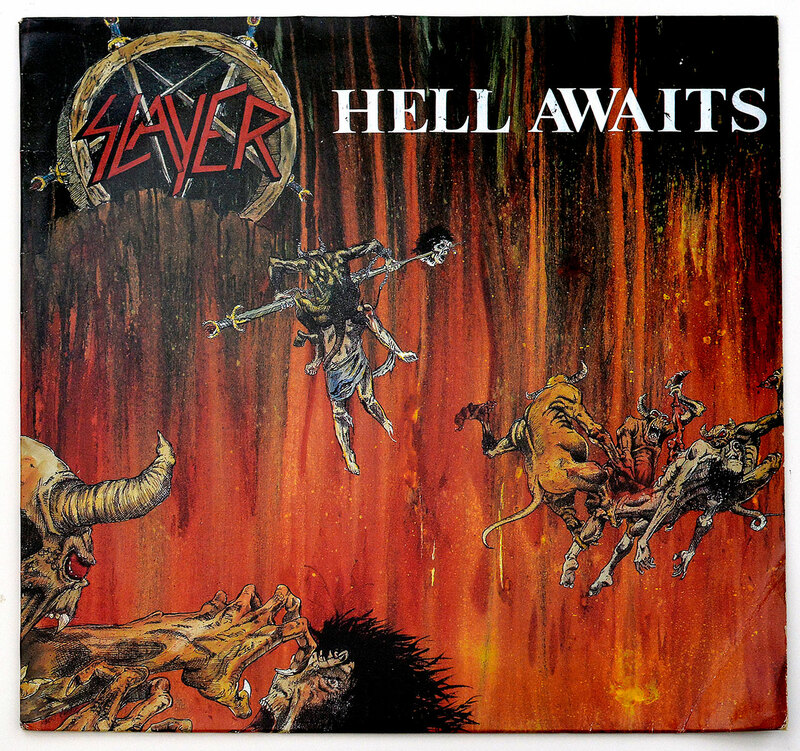 Albert Cueller has done two album cover for Slayer: "Hell Awaits" and "Live Undead". Kerry King (real-name: Kerry Ray King) born in Los Angeles, California, June 1963, Guitarist and co-founder of the American Thrash Metal band Slayer. He has been performing with Slayer since 1981. During 1984 Kerry King performed as a substitute guitarist with the American Speed/Thrash Metal band " Megadeth ".